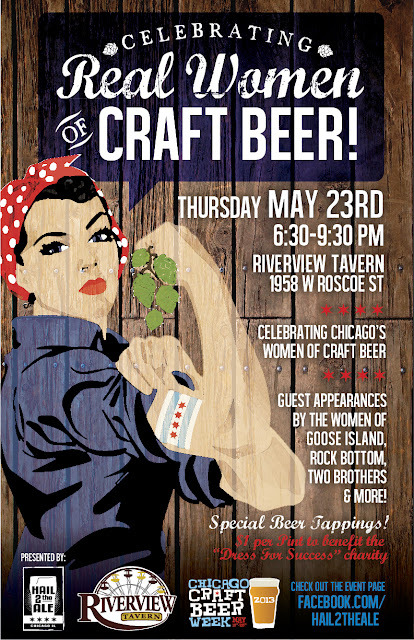 Join us during Chicago Craft Beer Week for an evening celebrating Chicago's Women of Craft Beer at Riverview Tavern in Roscoe Village. The ladies behind some of your favorite breweries will be in attendance including Goose Island, Two Brothers, Rock Bottom, Lagunitas, Metropolitan, 4 Paws Brewery and more! We will be screening the documentary "The Love of Beer", which focuses on the rise of women in the beer industry. There will be special tapping throughout the night - more announcements to come! This is event is open to the public, no tickets required. Come out and support the Midwest's best!